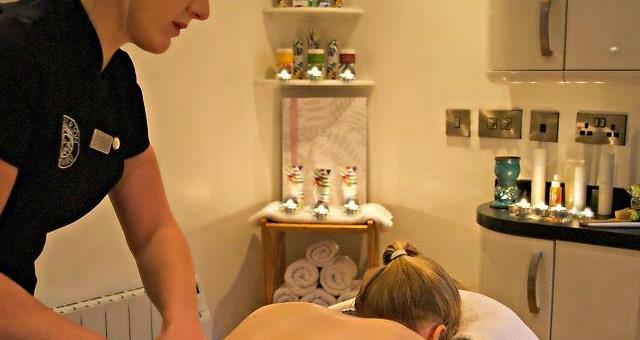 Mermaid Spa Portmeirion01766 772444work SpaThe Mermaid Spa removes you a little from your normal life and touches you with a little of the magic of the Portmeirion experience. Each visitor to the Spa is unique, treated throughout the whole experience as special and offered a moment of stillness, quiet reflection and deep relaxation. Arrive into the quiet of Portmeirion’s car-free world, as guests, or for the enjoyment of those living or staying in the locality. Pause to take in the most exquisite estuary vista. Experience a deeply enjoyable and effective individualized treatment and being cared-for with health promoting products that naturally calm your mind and enhance your body. Finish satisfied, unhurried, relaxed, revived and cared-for. The Mermaid Day Spa delivers the promise of real, whole health-promoting, luxury body treatments. A reception welcomes you, and our products are available in our small shop. Two therapy treatment rooms facilitate full therapy and body wraps contained within the spa.? The Hair and Beauty Studio and home of our Bespoke Perfumery with hair and beauty, facial, foot spa, foot massage, reflexology. A relaxation area as we believe that taking it easy for a while after your therapy is enjoyable and also important to quietly consolidate your treatment. You will be offered a complimentary Jasmine tea. - Our own Mermaid Spa range of natural soaps and natural body products all designed with our aromatherapists and handmade in Gwynedd. The Mermaid Spa removes you a little from your normal life and touches you with a little of the magic of the Portmeirion experience. Each visitor to the Spa is unique, treated throughout the whole experience as special and offered a moment of stillness, quiet reflection and deep relaxation. Sourced with care, whenever possible focusing on local or ethical materials. Organic and biodynamic methods are used and our products involved fair-trade where possible and no cruelty to animals. Open daily 09:00 - 17:00. 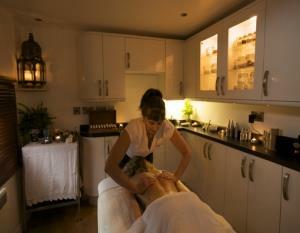 Free entry into Portmeirion Village with booked treatments. Please visit our website for individual treatment prices. Contact us directly for bespoke treatment pricing. From Manchester Airport: take the M56 (West) onto the A550. Follow signs for the A55 and North Wales. Follow the A55 expressway as far as the Caernarfon (A487) turn-off. Follow the A487 towards Caernarfon and Porthmadog. Portmeirion is 1 ½ miles South of Porthmadog signposted from the main road at Minffordd. 100 miles. Approximately 2 ½ hours. From Birmingham Airport take: the M6 (northbound). After junction 10 turn onto the M54 which leads onto the A5. Follow the A5 for Llangollen, Corwen. 3 miles past Corwen turn left onto the A494 for Bala. At Bala turn right onto the A4212 for Trawsfynydd where you turn right for Porthmadog. Follow signs for Porthmadog. Portmeirion is 1 ½ miles West of Penrhyndeudraeth on the A487 signposted at Minffordd. 100 miles. Approximately 2 ½ hours. From London (Shepherd's Bush): Take the M40 then the M6 at Birmingham (use toll road if congestion is bad, then follow signs for M54). After M6 junction 10 turn onto the M54 whichOld car leads onto the A5. Follow the A5 for Llangollen, Corwen. 3 miles past Corwen turn left onto the A494 for Bala. At Bala turn right onto the A4212 for Trawsfynydd where you turn right for Porthmadog. Follow signs for Porthmadog. Portmeirion is 1 ½ miles West of Penrhyndeudraeth on the A487 signposted at Minffordd. 240 miles. Approximately 4 ½ hours. From Cardiff: Follow the A470 to Trawsfynydd. Follow signs for Porthmadog. Portmeirion is 1 ½ miles West of Penrhyndeudraeth on the A487 signposted at Minffordd. 160 miles from Cardiff Bay. Approximately 3 1/2 hours.